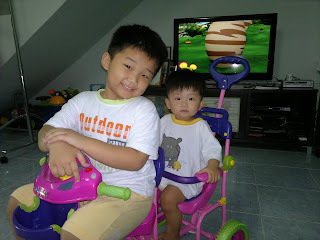 A very nice weather today, so Mummy let me joins her cousins playing badminton outside their house. I was sweating and running happily helping the big gor gor to pick up the shuttlecock. 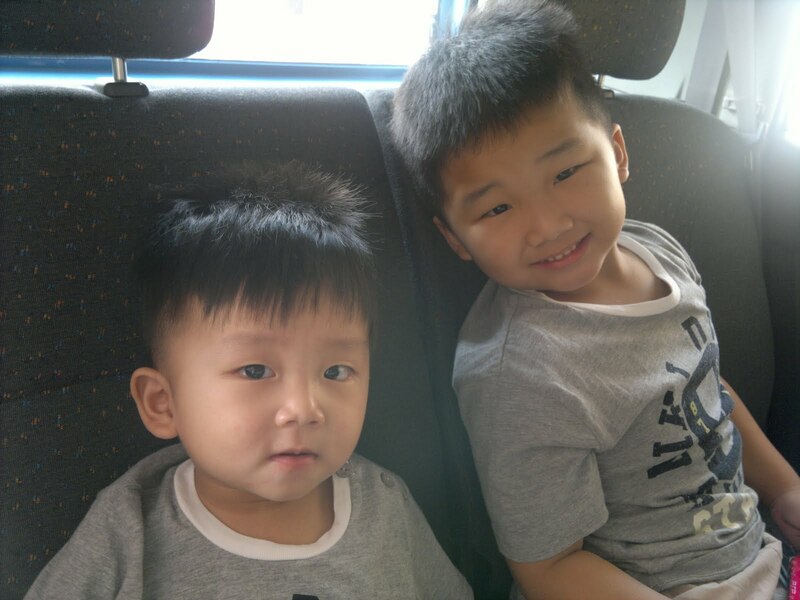 Mummy keep on warning me to be careful and not to fall down. After that she left me with her cousins and went back inside the house. After a while, i came running in and start crying. I told Mummy i fall down on the road and hurt my knees. Mummy not only didnt show me her sympathy but continue lecturing me. I was told to go into the bathroom and take a shower. I keep on crying and crying coz when the hot water get in contact with my open wound, it was really really pain. 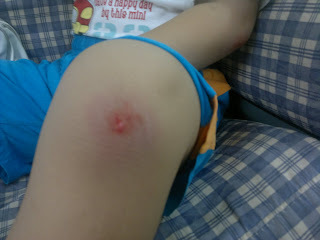 Mummy still didnt realised i hurt my elbow too till i show her the wound. 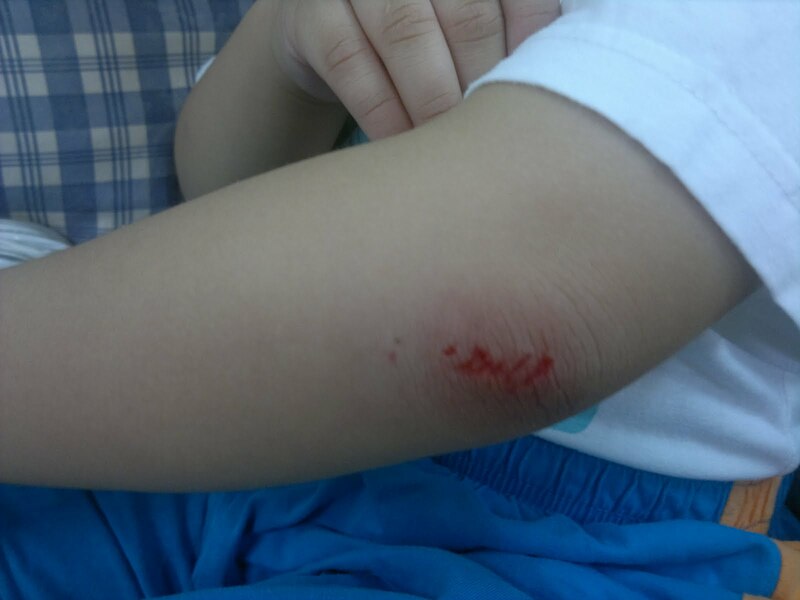 Mummy got a shock coz the cut was quite deep and blood keep on oozing out. 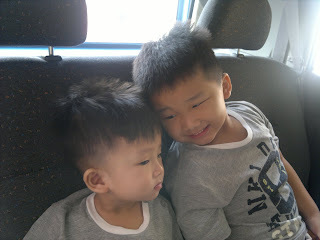 Today Mummy and Daddy was invited to kindy for the 1st semester Parent-Teacher's day to discuss on my progress and performance in school. 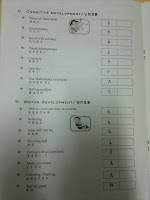 And not forgetting to collect my Report Card for the 1st semester exam. I was so anxious and nervous. 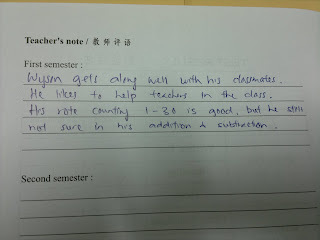 Mummy already expected what my class teacher will said, just like previous year. 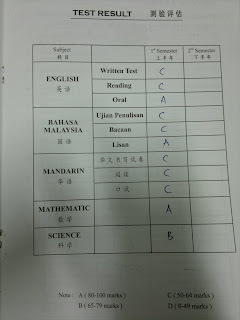 I didnt score that bad, but still above Mummy's expectation. 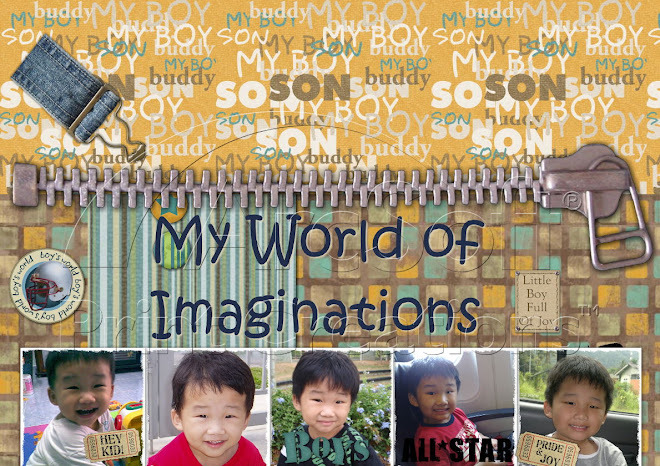 Mummy didnt expect to see Grade A at all, but i did managed to get 2A's. Then only Mummy find out, it was with teacher guidance that i manage to score A.
Im hoping i can get a better result for the next semester..keeping my finger crossed.. 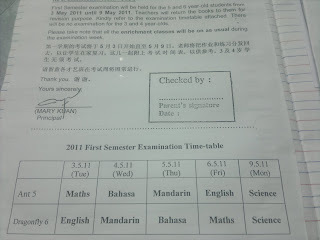 This will be my 1st exam after attending kindy for the 3rd year. For the past years, we only have progressive test ( not the real exam though)... 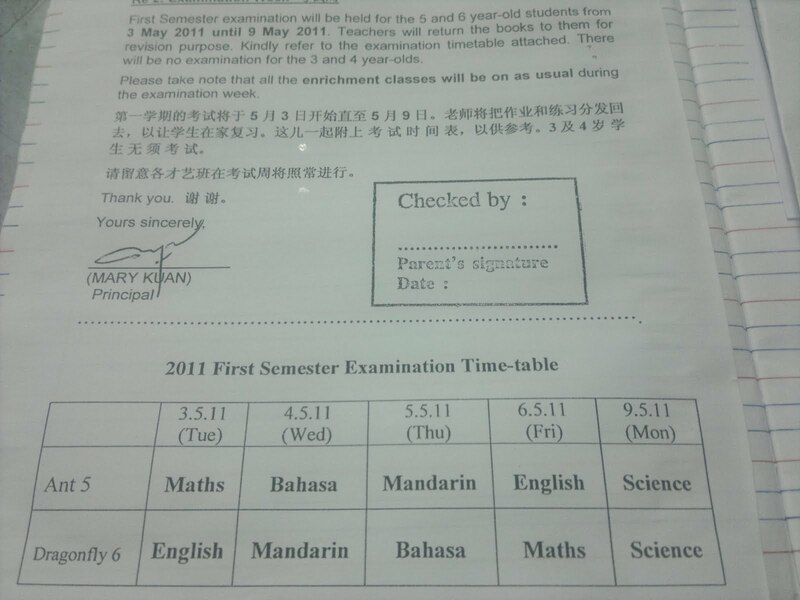 So when Mummy received this circular few days ago, she's more kancheong than me. She knows im not the type that love to do revision or so whatever related to my study. 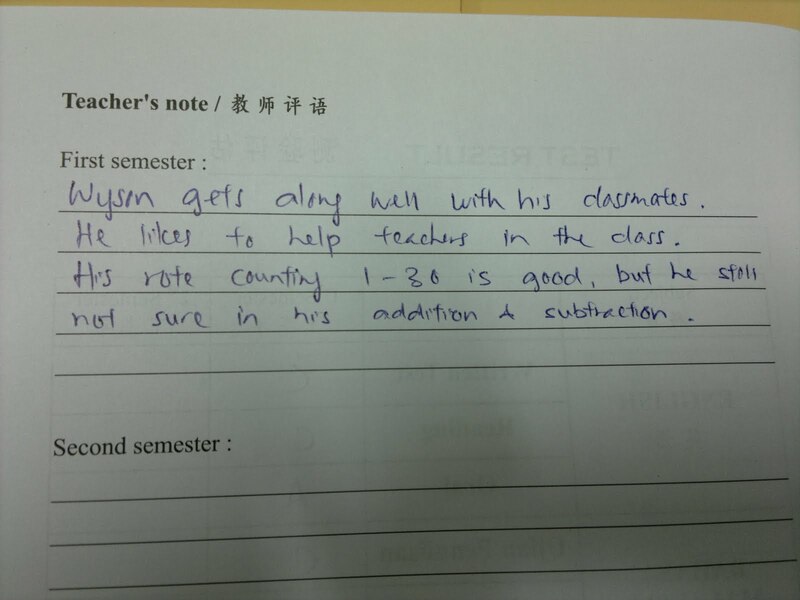 Since this will be my 1st exam, Mummy just hoping i wont get a ZERO marks for it. 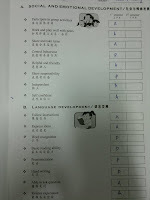 Mummy wants me at least to do some worksheet before the real exam. She dragged Daddy and me , to the bookstore we went. Mummy found some workbooks at Popular and MPH. 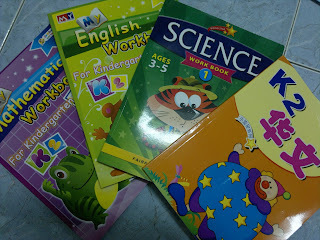 Mummy last minute preparation, to have me do the exercise in this workbook. 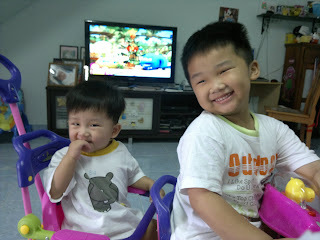 Hopefull i wont let Mummy down..